Tim and I are headed out of town and out of the country for nearly 2 weeks. While we are gone, I would love if our plants didn't all die. So, I am trying to do as much as I can to prepare my outdoor garden for the upcoming abandonment. This means, for my climate trying to preserve water. Last year, we had a very dry summer and this meant watering my poor tomatoes almost every day. I think this is the optimal time to take vacation. It's not super hot yet and I have all my plants in the ground. There aren't too many weeds to handle, and not too much to do yet. Later in the season I will be busy weeding and harvesting, vacation will seem more of a stress than a relaxation. June is the time to leave. This spring has been wet and muddy. The forecast so far calls for rain every other day, so I am currently not panicking about my plants. But I am trying to set them up for success, and I want to share with you my thoughts and methods. Mulch! I have added a good healthy layer of mulch to my tomatoes, beans, peas, peppers, tomatillos, pumpkins and zucchini. 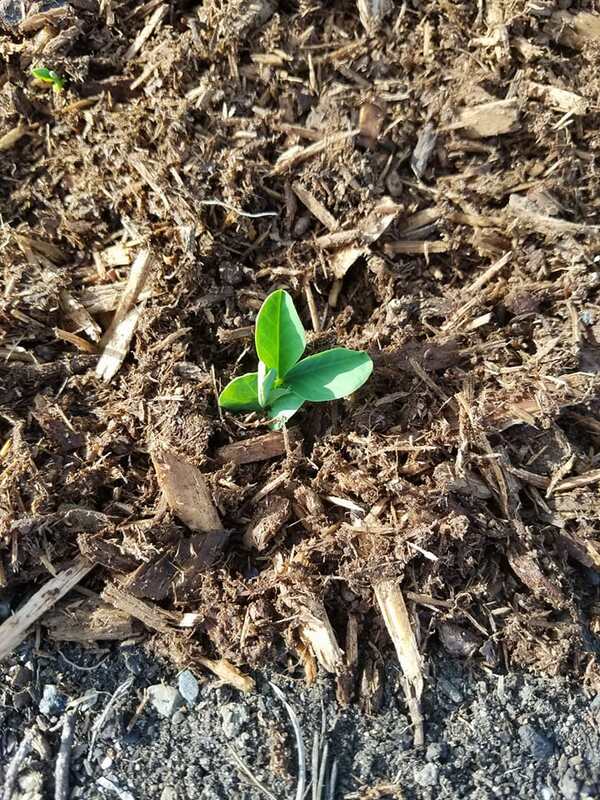 This mulch will help prevent weeds and water evaporation off the soil. Hopefully, I will come back to huge plants but not huge weeds. The mulch should help hold the water, which means any rain we do get won't evaporate away quickly. This is important as I won't be there to water every day. Deep watering. While this isn't important for this trip, I have planted plastic juice containers into my tomato beds. 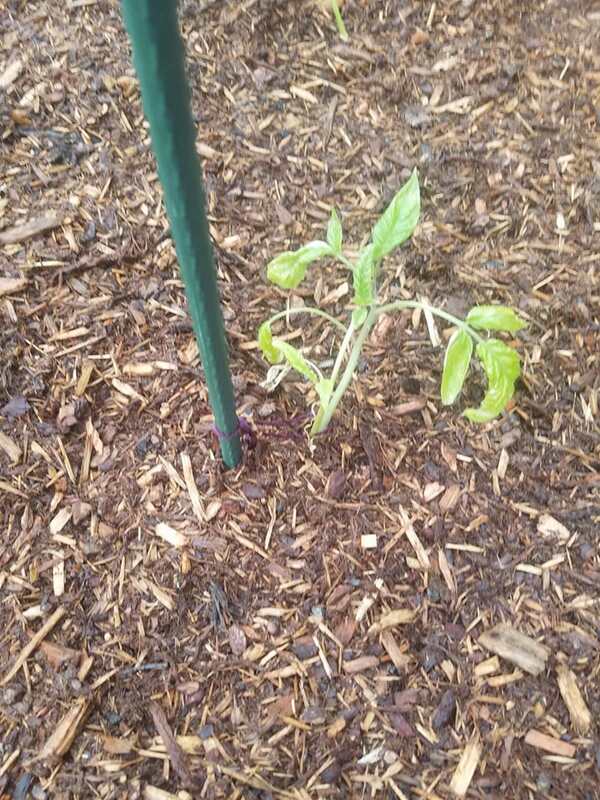 I did this last year and when hot August came this made my tomato stand out compared to others. By filling the container with water, the plant's roots can grow close and drink straight from the source. This also prevents water evaporation off the soil and gives the plants water where they need it. Hopefully, by giving them water like this in the first few weeks of their lives, the tomatoes will have deep roots systems. Stop daily watering. While this may seem like torture, for my plants. For the last week, I stopped watering them everyday. This will hopefully get them used to surviving only on what the sky provides, at least for the next few weeks. As we water plants from the top, their roots don't need to grow deep. However as I have relied only on the sky-water for the last week, hopefully the plants have realized they need to grow deep and spread out their roots for water. Maybe it will work or maybe I am crazy. All in all, I am super excited to go on vacation. But I am also excited to return to my garden after 2 weeks! I expect my plants to astound me with their growth. It's like watching grass grow, literally, you can't see it day to day but after 2 weeks, it will be quite noticeable. Hopefully, my plants will survive, go hardy and live on without me. I plan to get right back into weeding, pruning, tying back and watering on my return. For now, it's vacation time! See you in 2 weeks garden! Have you every left your garden for vacation? Did it survive your abandonment? Thanks for checking in with my garden progress. 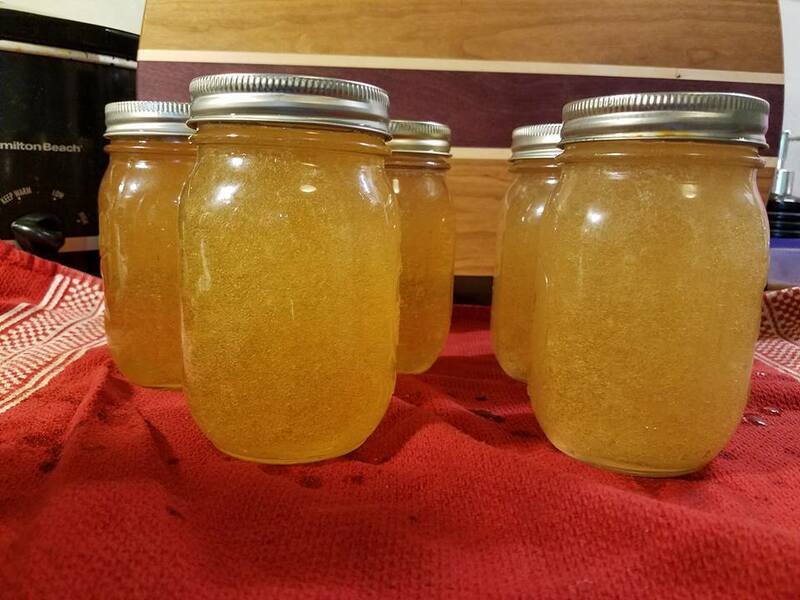 If you have viewed the "Garden" section of Pinterest you will have no doubt come across someone touting the great "honey" like taste of dandelion jelly. I, like a few others, actually really like dandelions. I do not consider them a weed, I think they are a joyful yellow flower that dots the landscape of green lawns and are a sign of spring! 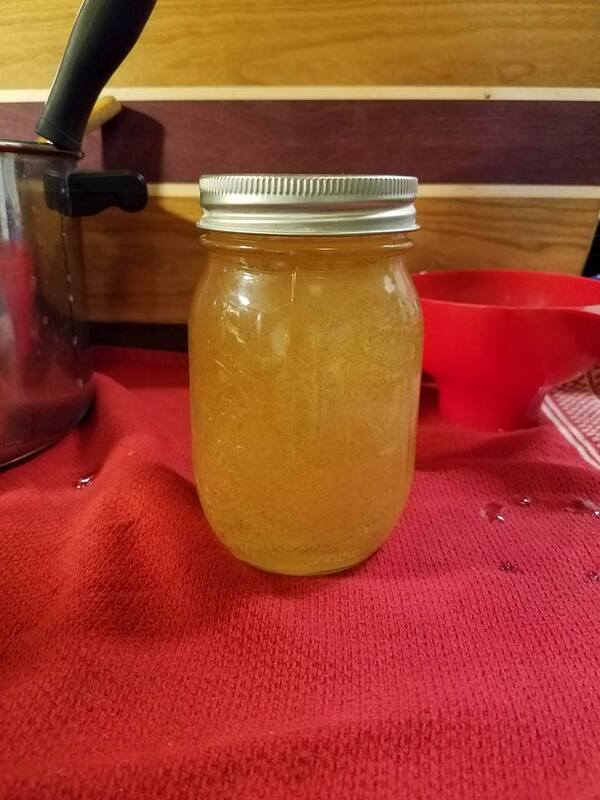 So when I heard I could make jelly from dandelion tea I was pumped. I went out to my apartment complex and found the jackpot of dandelions on the side of an embankment. In 45 minutes I collected a quart of flowers and joyfully skipped back to my apartment like a young schoolgirl (just kidding, but it is something I might do). 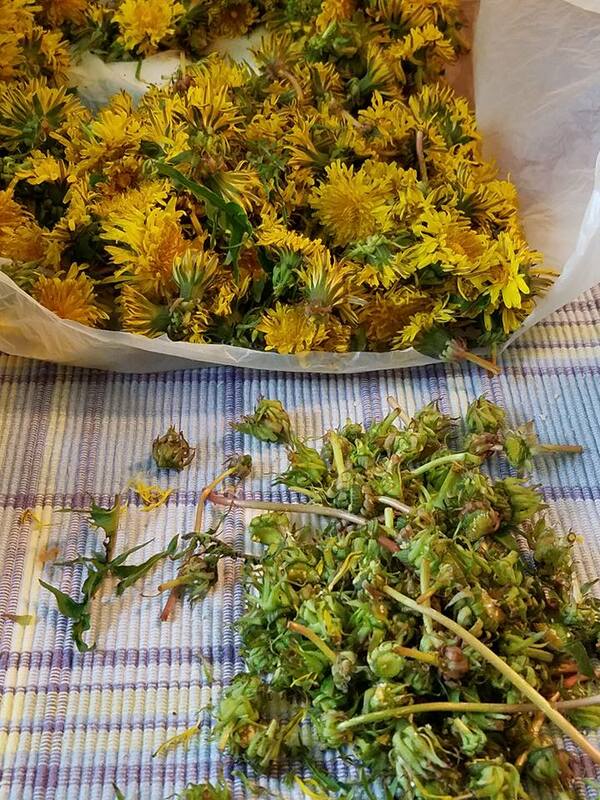 With my flowers in hand, I spend about 45 minutes removing the stems. I steeped the yellow petals in water overnight. This doesn't smell too great so I was a little nervous about my jelly the next day. After work, I came home, bought pectin and was ready to thicken that dandelion tea into dandelion jelly! I am thinking this will make a great, unique, homemade, Christmas gift. I can see already, all those tiny 1/2 cup mason jars filled with yellow sunshine jelly! Besides, all the Pinterest posts rave about how they kids love it, and how they have to find it from family. My jelly thickens up nicely and I dare a taste test. I pull out a small amount on a spoon and wait for it too cool. This is the moment! The moment I taste dandelion, sunshine, kinda like honey, jelly. And...it's sugar water. I mean, it kinda tastes like honey because honey kinda tastes like sugar. I do taste the dandelion as it's not exactly like a spoonful of sugar. I see why kids love it! Mom just handed them a tablespoon of dissolved sugar! Well, I will never make this again. I will just go buy honey (or learn to keep bees). And those great plans for dandelion jelly Christmas presents? Family: I'll save you the diabetes and come up with something else. I have included the recipe so you can critique it and explain how your recipe is better than this one, and how your jelly doesn't taste like sugar-water. I did see one recipe that called for an orange instead of pectin, and I would use this recipe if i was to try it again. Maybe the orange will up the flavor. As for now, what do I do with 5 pints of sugar-water jelly? Add dandelion tea, lemon juice, 1 box of pectin into a large saucepan. Add your sugar and bring back to a boil. Remove from heat and fill jars. 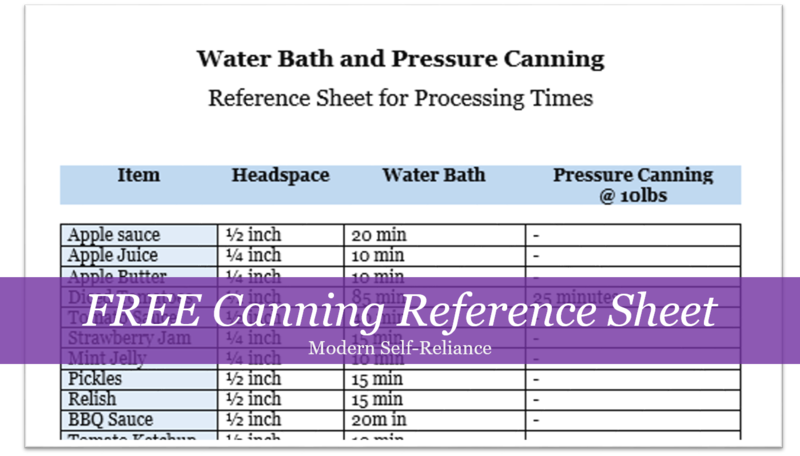 Leave 1/4 inch headspace and process 1/2 pint and pints for 10 minutes in a water bath canner. 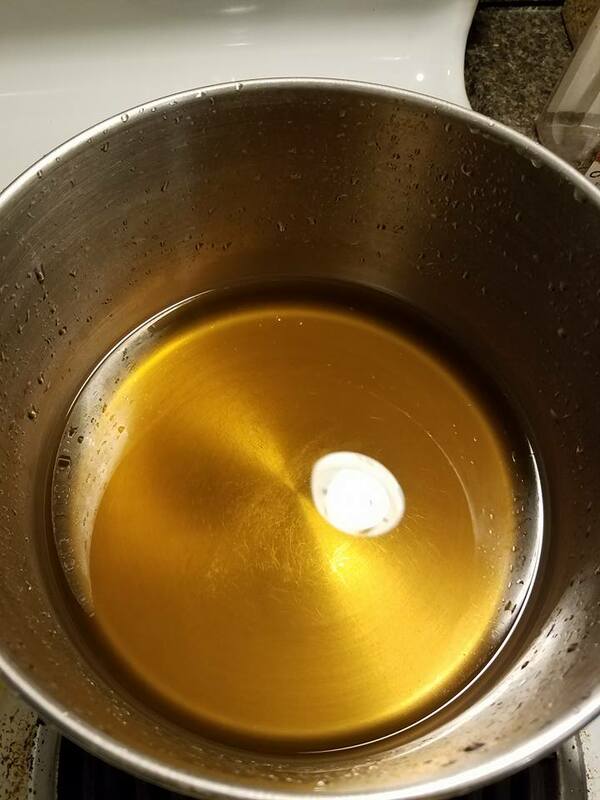 How did your dandelion jelly turn out? Better than mine? What do I do with 5 pints of sugar-water? Really, I want to know. Thanks for reading! Good morning all! Tim and I had a great Saturday morning (May 13) installing fencing and digging out our garden beds. 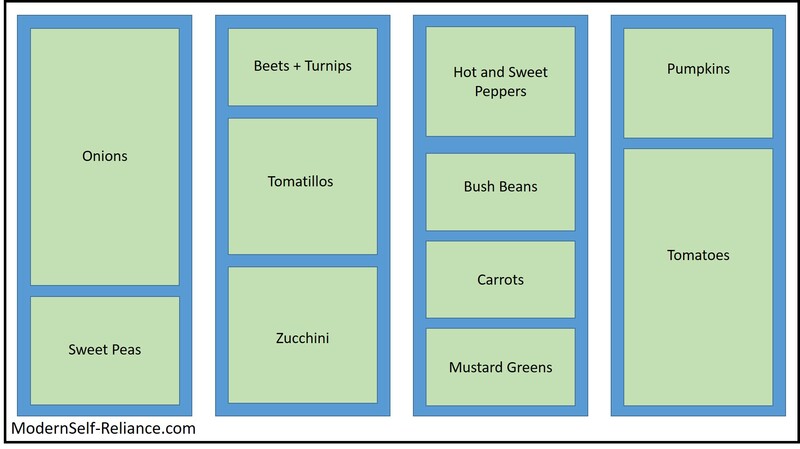 For those who want to follow along, Tim and I rent 400 square feet of growing space at a community garden. We are responsible for everything, except they kindly roto-till the space at the beginning of the season. 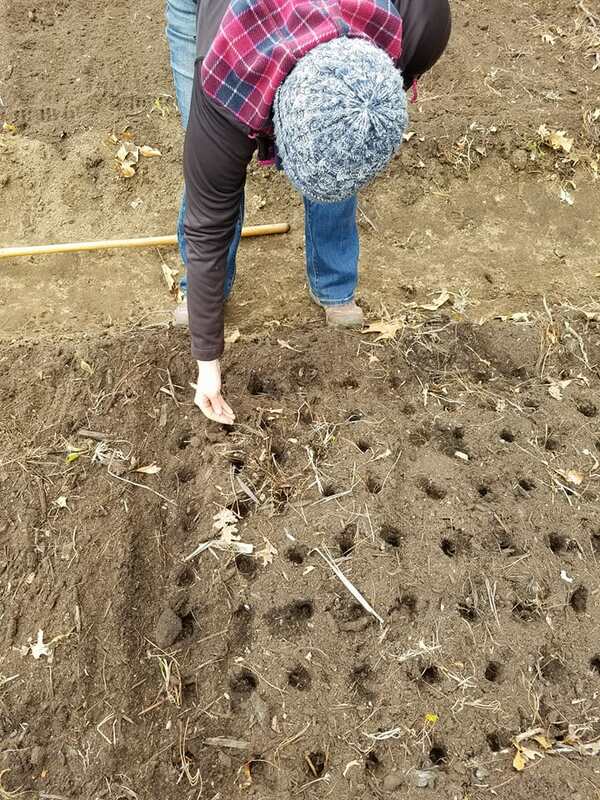 We were allowed to start planting this weekend, and we rushed on over to get started. I may earn a small commission from any link to any products or services from this website. 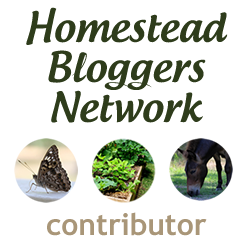 Your purchase helps support my work in bringing you real information about homesteading skills and preparedness. We wanted to dig a small trench to set the fencing in. This way, it won't be as easy for small creatures to run under the fence. We had a problem with groundhogs last year, and hope to make our garden less appealing this year. Tim digging the trench to place the fencing in. 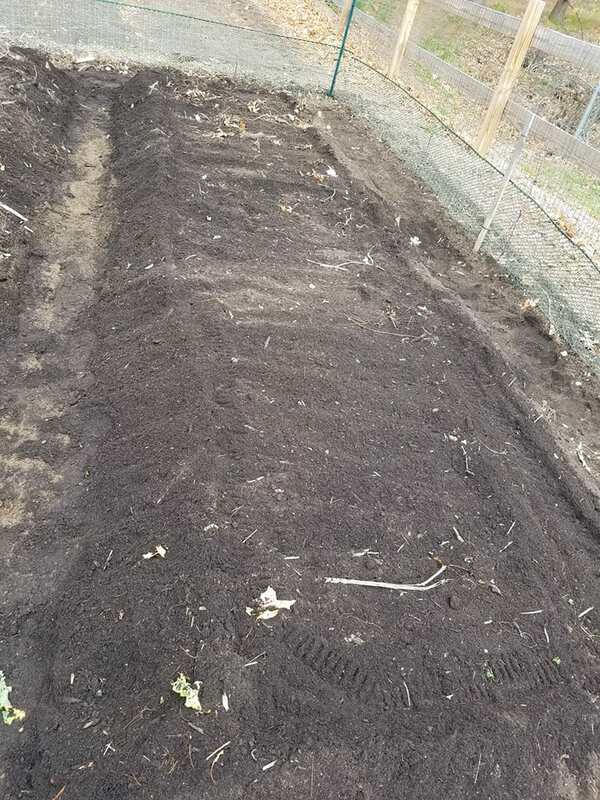 A freshly mounded bed ready for seeds! Our garden is laid out in 4 beds approximately 4 feet by 10 feet. This allows for some walkways between beds and maximizes growing space. Any deeper than 4 feet and I can't reach the center to weed or harvest without treading into the beds. We will be posting updates throughout the summer with our yields, results and lessons learned. 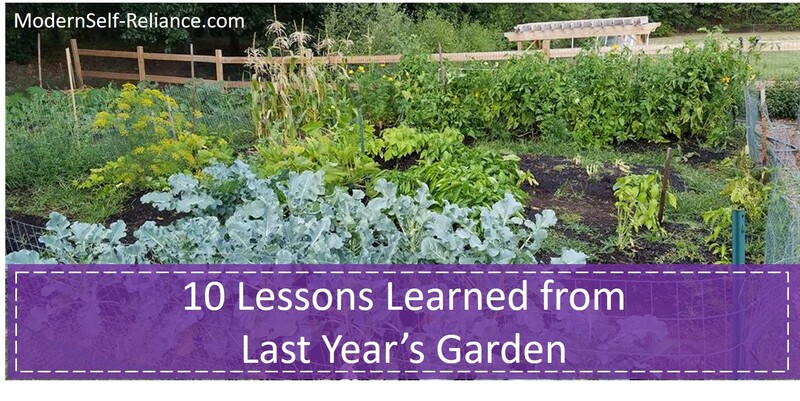 For last year's lessons learned check out ----- 10 Lessons Learned from Last Year's Garden -----. Last year the birds ate all my sunflower seeds and not a one sprouted. This year I have started them inside, hopefully awaiting their germination. 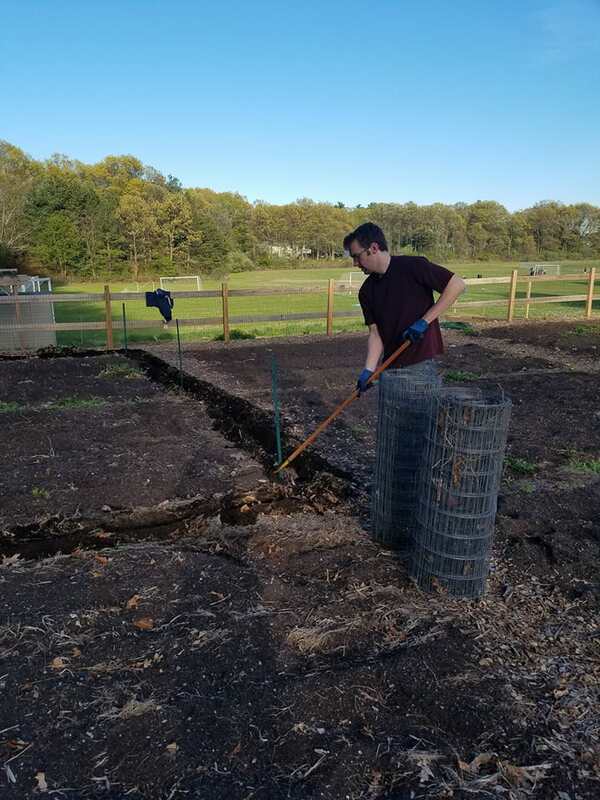 This summer we got the fencing installed in half the time and dug out the beds more. We have about 6-8" inches of nice tilled top soil until we hit clay. So we dig down to the clay for the paths and mound the good soil for our beds. This gives us more depth in our beds and less weeds in our walkways. 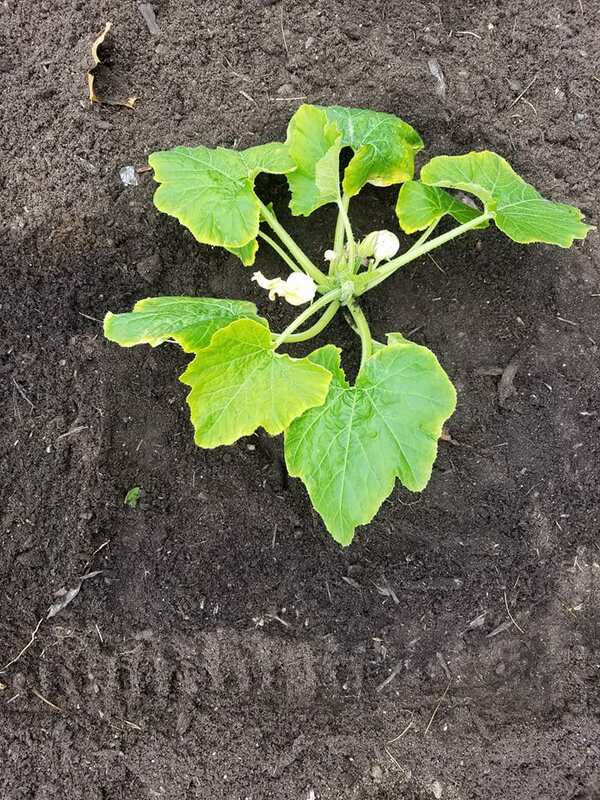 While we were out there, I also transplanted the first zucchini seedlings I started inside. Check out my tips on starting seeds inside ------ 3 Things to Consider when Starting Seeds Inside -----. We also planted many seeds for things we didn't plan to transplant. I currently have tomato, tomatillo and peppers seedlings growing inside until it's a little warmer for them. They will be transplanted in the few weeks or so. I am so excited to have seeds in the ground. Here is our garden layout as it currently stands. As things get harvested and new things take their place we will update as we go! 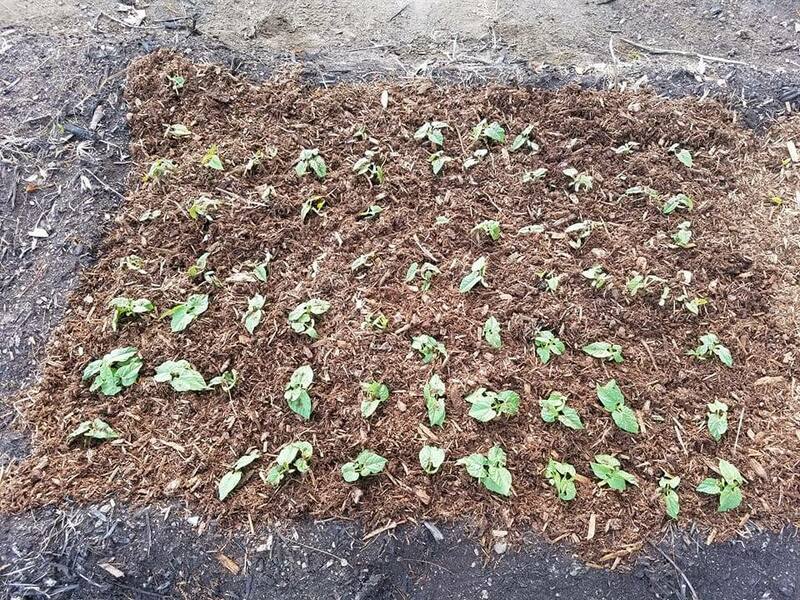 Add mulch to prevent evaporation and reduce weeds. Install deep watering containers for the tomatoes and zucchini plants. Hope sunflower seeds sprout inside. What garden questions do you have for us about our methods, our garden layout or community garden space? Does your town offer a space to garden? We feel very lucky our town has space in the back of an elementary school.